Forget everything you thought you knew about that first feast. The only eyewitness account of the first Thanksgiving comes from a letter written by Edward Winslow on Dec. 11, 1621. In it, he describes how the Puritans, after utilizing fertilization methods imparted by Tisquantum (also known as “Squanto”), had their first successful harvest. To celebrate, Governor William Bradford “sent four men on fowling,” and they returned later that day with enough food to feed the colony for almost a week. 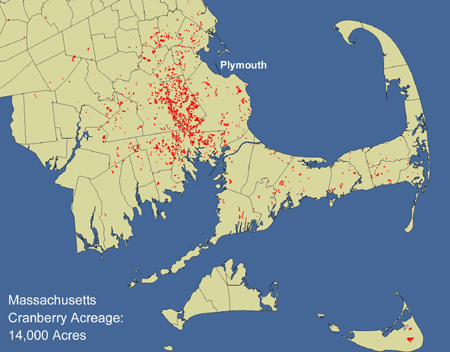 Since waterfowl was plentiful in the Massachusetts Bay area, it’s widely accepted that they were eating goose and duck rather than turkey. Instead, for a side dish to the main course, a stew called sobaheg was most likely served. An easy way to make use of seasonal ingredients, the stew often included a mixture of beans, corn, poultry, squash, nuts, and clam juice. All are used in the traditional dish today, and all would have been available in 1621. In fact, clams, fish and other seafood were abundant in the area, so they were probably present in some form, whether in sobaheg or another dish. Historians attribute the first New England crop of potatoes to Derry, New Hampshire, in 1722, so there’s no way mashed potatoes could have made an appearance during the first Thanksgiving. Although the best accounts of this sauce come from later records when households had their own gardens of European crops, recipes also utilized crops introduced to them by the Wampanoag. In addition to the corn (and barley) mentioned in Winslow’s letter, the harvest of 1621 likely included beans, squash, onions, turnips, and greens such as spinach and chard. All could have been cooked at length to create a pulpy sauce that later became a staple in early New England homes. This article was originally published on November 23, 2017. This article was originally published on The Conversation by Julie Lesnik. Read the original article here.